This video is disturbing, tragic, hopeful, and oddly beautiful. It’s hard to watch. Kinda queasy-making, with hints of exploitation. But also kinda gorgeous. 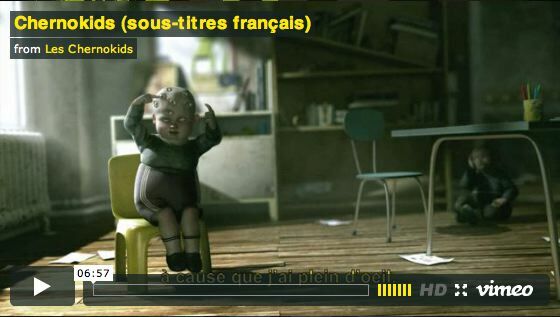 From Chernokids, a French crew. See what you think. And, yeah, there are cartoon superheroes—at about 04:30.